The Smart Client Look and Feel is defined in a style sheet properties file named style.properties. Each UI control has a ‘style’ property where a style name can be specified. 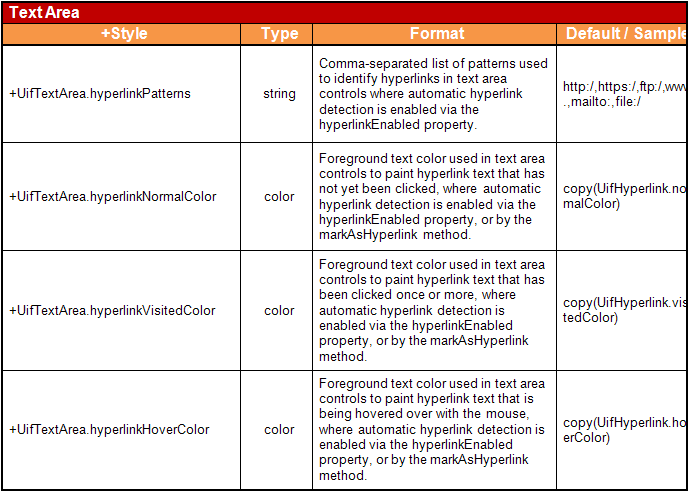 Corresponding styles must be pre-defined in the properties file (style.properties). 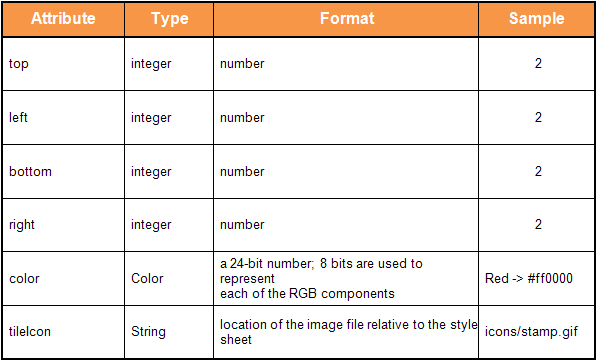 The style sheet properties file is a text file named “style.properties” which contains styles definitions. The properties file is located at the application’s root package (at the same location as “workspace.xml”). Only one style sheet file allowed per workspace. 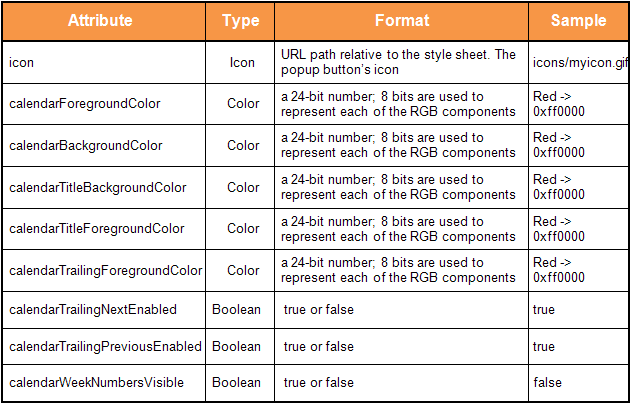 The style sheet inherits the locale support provided by java.Util.Properties, as well as predefined ‘base’ styles. 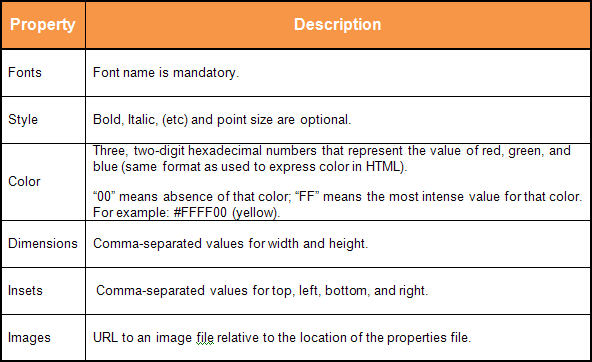 A user style can extend or override default style definitions (styles defined at the end of the file have higher precedence over settings in the top of the file. The Swing look and feel includes settings for UIResource classes for fonts, colors, dimensions, insets, and images. The settings in the Swing look and feel are passed to javax.swing.UIManager which manages javax.swing.UIDefaults. Changes to the Swing look and feel can be done at the global level or the control level. These settings override the Swing look and feel global level settings. You specify Swing component names without the “J” prefix (such as “Button” for “JButton”). Each control has a property where a style name can be specified. 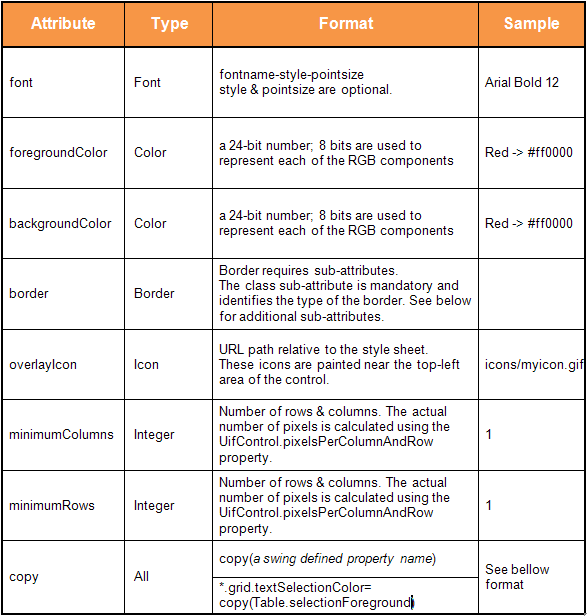 Corresponding styles must be pre-defined in the properties file. The style settings override the Swing look and feel global and control-level settings. The name of the style you specify as a property of the control. Use an asterisk (“*”) as a wildcard to apply the setting to all styles. This name is the same as the control’s class name without the “Uif” prefix. Use an asterisk (“*”) as a wildcard to apply the setting to all controls. This value is case insensitive. 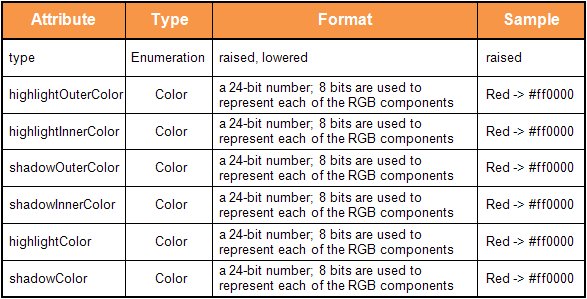 The name of the visual attribute such as font, foreground, background, or border. For border, the attribute may have further sub-attributes. Multiple sub-attributes are defined by repeating the style and adding “.” followed by the sub-attribute name. is the name of a sub-attribute (such as the bevel type for a border). The predefined styles are only relevant to input objects. Do not define your own style names that start with a dollar sign (“$”). The overlay Icon attribute specifies the icon associated with a state. The icon is painted at the top-left corner of the control and is 8×8 pixels. The path is relative to the location of the properties file. 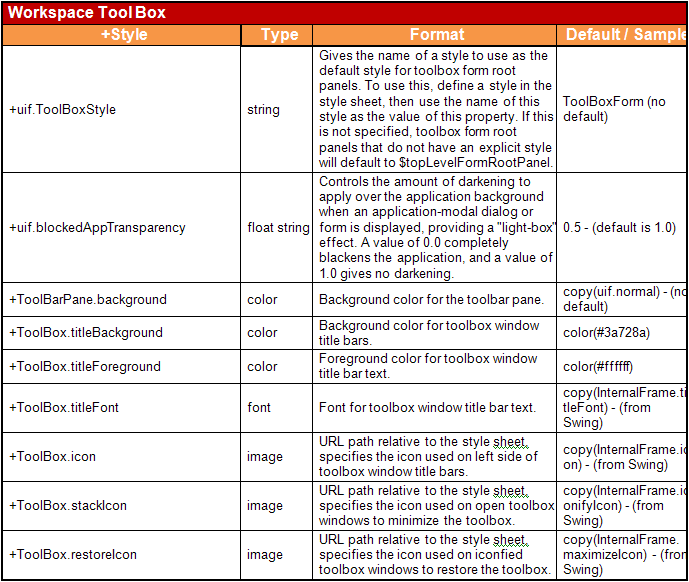 The application does not inherit the setting in the title of toolboxes and menu bars. 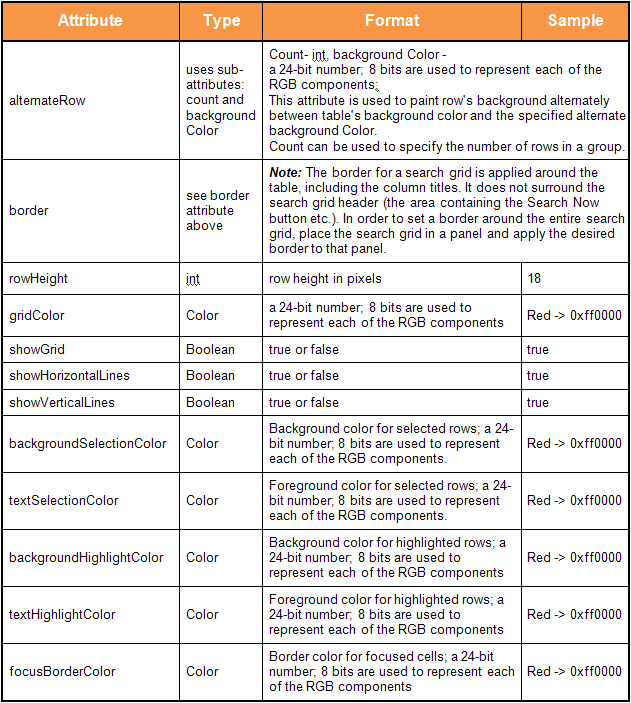 If a user selects a “classic” color scheme (such as “Rose”), the application does inherit the setting. If you make a global font change in style.properties as *. *.font=Courier 20, all controls inherit the setting except menu items, tab text, and group box titles. To specify this, set the “class” sub-attribute to “bevel” and provide following additional sub-attribute values. The default is lowered border if type is not specified. All of either highlightOuterColor, highlightInnerColor, shadowOuterColor and shadowInnerColor; OR highlightColor and shadowColor, should be provided to paint the border with the required colors. To specify this, set the “class” sub-attribute to “empty” and provide following additional sub-attribute values. All of the above attributes should be provided to create the border with empty spaces. To specify etched border, set the “class” sub-attribute to “etched” and provide following additional sub-attribute values. The default is lowered border if type is not specified. Both, highlightColor and shadowColor should be provided to paint the border with the required colors. To specify line border, set the “class” sub-attribute to “line” and provide following additional sub-attribute values. The thickness is 1 if it is not specified. To specify matte border, set the “class” sub-attribute to “matte” and provide following additional sub-attribute values. Top, left, bottom, right are mandatory and are used to specify the spacing. Either color or tileIcon should be specified. To set title for any of the above border border, provide following additional sub-attribute values. The following attributes apply to specific types of controls. The controls used to render cells in the grid cells can be styled via the standard styles with exception of overlayIcon. The default style value for the controls when placed in grid is “$gridCell” until overridden via “style” property. Note that border and rowHeight are not supported for gridtree. Setting these properties on gridtree can generate unpredictable results. Note: Tree.expandedIcon & Tree.expandedIcon Swing level properties can be used to change icons for handles used in tree to expand or collapse the node. In addition to the styles described above, the style sheet allows storing name value pairs which are used to control behavior both by ASCF and by Swings’ active Look and Feel. These pairs are prefixed with a “+” sign, and the name and value are separated by an equal sign. The name-value pairs are transferred to an internal cache (Swing’s UIManager) from where ASCF and the Look and Feel system can pick up the values and consume them. 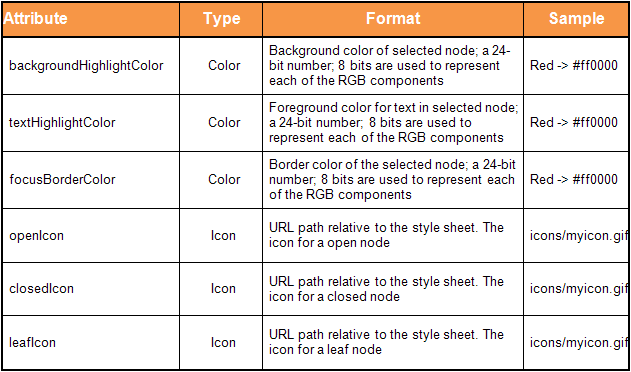 This allows customization of certain aspects of the look and feel using this style sheet. Support for copying other property values via use of “copy” type. 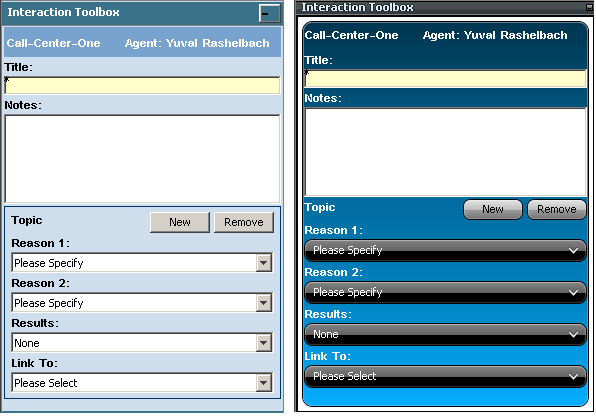 # Example demonstrating setting Swing UIManager property. # so qualification of the value using a prefix is optional. First all applicable *. *.<<any attribute>> styles are applied. Next all applicable *.<<any control>>.<<any attribute>> styles where an actual control type is specified are applied. After this, all applicable <<any style value>>. *.<<any attribute>> styles where an actual style value is specified are applied. Finally remaining applicable <<any style value>>.<<any control>>.<<any attribute>> styles are applied. If more than one style is applicable to a control, they all are applied in the order mentioned above. This provides merging & overriding effect to styles. This means that the last style’s attributes has overriding effect over previously applied styles. If two styles are applied which do not have common attributes, the result is a combination of both styles. The above does not apply to sub-attributes. At the time of loading, sub-attributes are immediately merged into a single style object. The priority order of the sub-attributes is the same as the priority of the first style defined with the same style and control name. 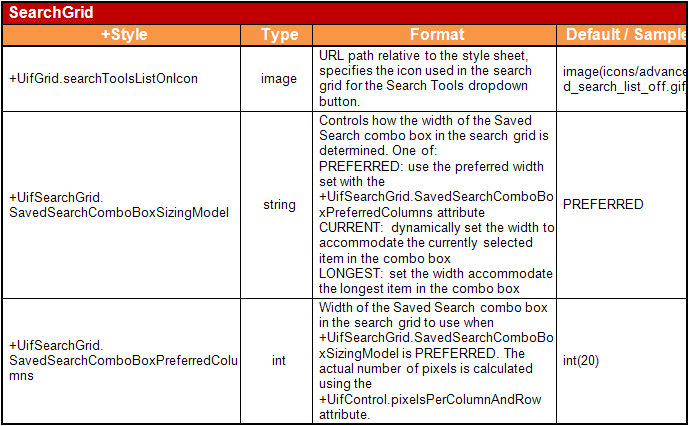 Style sheet inherits locale support provide by java.util.Properties. (java.util.Properties used by style sheet and for loading it at runtime). 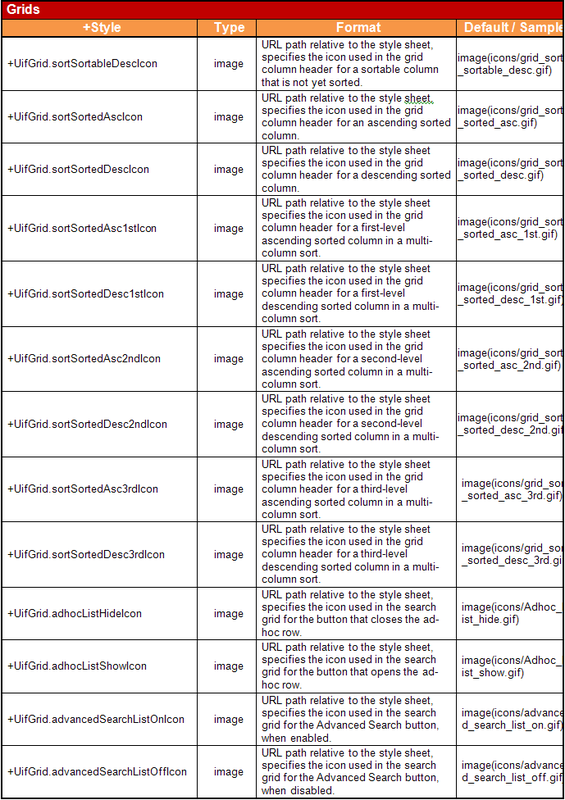 e.g., On JDK 1.5 Windows XP, JButton’s use XP’s system level API to generate background image. These images override most of the JButton’s background area and hence background color does not have any effect. MenuBar, MenuItems, Popup Menus, etc. cannot be stylized via regular styles. Use “+” styles instead to customize these controls. Certain attributes of controls, e.g., group box title, tab control title etc may not respond to regular styles. e.g., forgroundColor when set on a control does not modify the group box title since borders need to be customized by via their own attributes. Can I change Combobox background color? and then manipulate its properties.